If there was one thing single dad Micah Muldare lacked, it was time! The busy widower didn't have enough hours in the day for his too-full to-do list--his high-profile job demanded focus, and the rest of his not-so-spare time was devoted to caring for his two little boys. He certainly had no room in his hectic schedule for romance...until Tracy Ryan walked through his door. 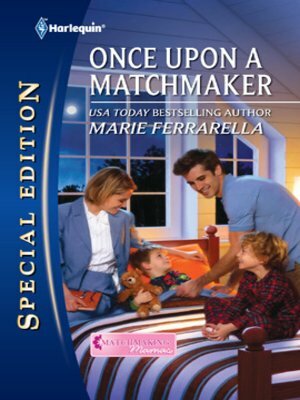 The once-burned attorney had long ago given up on finding true love and a family of her own. She'd grown used to keeping her heart under guard. But resisting handsome Micah--and his adorable children--was proving difficult indeed! Maybe it was time Tracy reconsidered her no-nonsense approach to life and took the ultimate risk to win the family she'd always wanted!